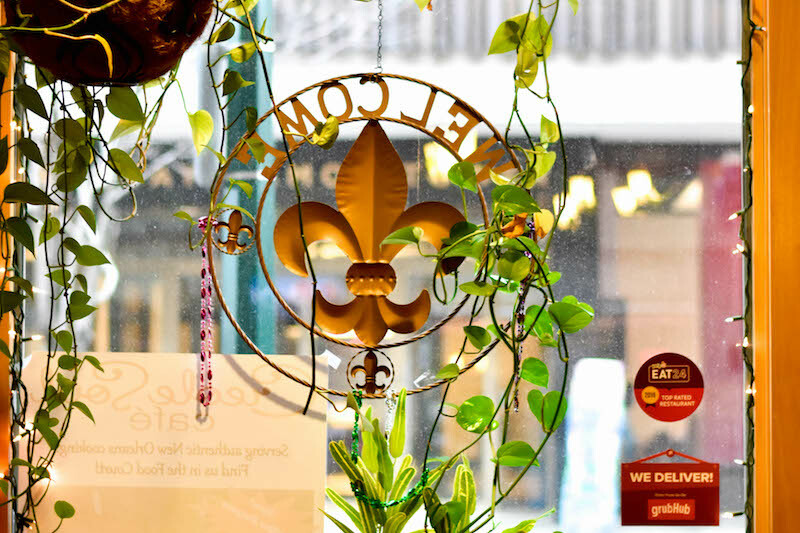 On this episode of Working: Syracuse, we step behind the doors of Creole Soul Café to find the bold, rich flavors of New Orleans Creole traditions and a chef who surrendered a lucrative career in construction to spend his days making the food of his home. The Salt City features a range of foodie favorites — countless Italian joints, hidden Vietnamese and Thai gems, and enough dinners to satisfy any pancake purist. But Darren Chavis found a gap, an opening where he could create a restaurant to celebrate his heritage with a selection of iconic dishes such as gumbo, jambalaya, and po' boys. Chavis describes New Orleans cooking and Louisiana food culture as a melting pot. A standard bowl of gumbo serves as a perfect Exhibit A: the roux is from France; the name, from West Africa; and the filé, from Choctaw tribes of North America. Chavis opened the restaurant in 2015 and credits his family for developing his work ethic, saying he is just one of a long line of stubborn entrepreneurs. "Before our meal was over, Chavis stopped at our table — as he did at every table throughout the night — to ask how our dinner was," wrote Jacqueline M. Domin in a review of the restaurant for Syracuse.com when it first opened on Jefferson Street near downtown. "It speaks to his affability that he made such visits even though he was clearly working hard in the kitchen. He was more than happy to answer questions, including one he gets often: What's the difference between Cajun and Creole food?" For Chavis the answer is simple — country versus city food. "I come from a long line of entrepreneurs," says Darren Chavis, owner and chef of Creole Soul Café. "For four generations we owned a section in the French quarters, starting with my great-grandfather selling herbs and spices." 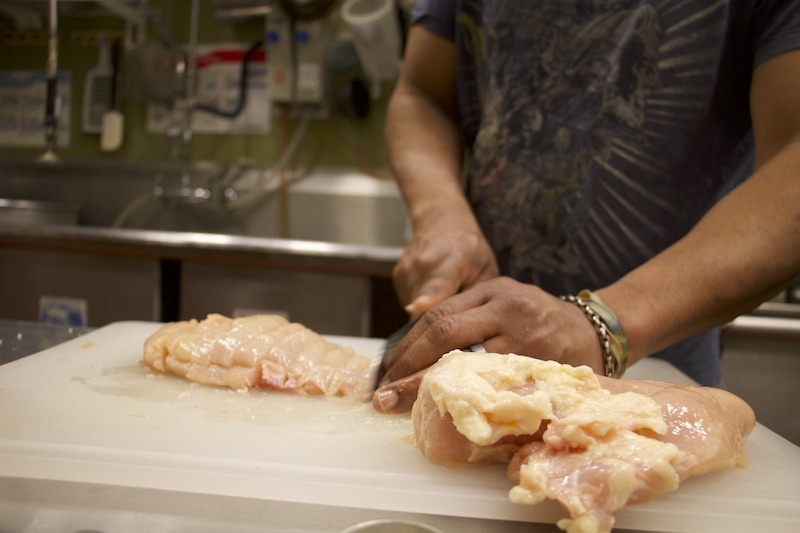 Chavis describes himself as a "sight and smell" cook. He follows his instincts and enjoys breaking the rules. A trifecta of Big Easy eats — shrimp po' boy sandwich, jambalaya with spicy sausage, and Cajun pasta. Chavis built his restaurant after his three kids graduated from college, and he takes pride in treating customers "the New Orleans way." BRONTE SCHMIT, HOST: Hello and welcome to Working: Syracuse, the podcast inspired by journalist Studs Terkel featuring Salt City residents talking about what they do to earn a paycheck and how they find meaning in those jobs. I'm your host Bronte Schmit. 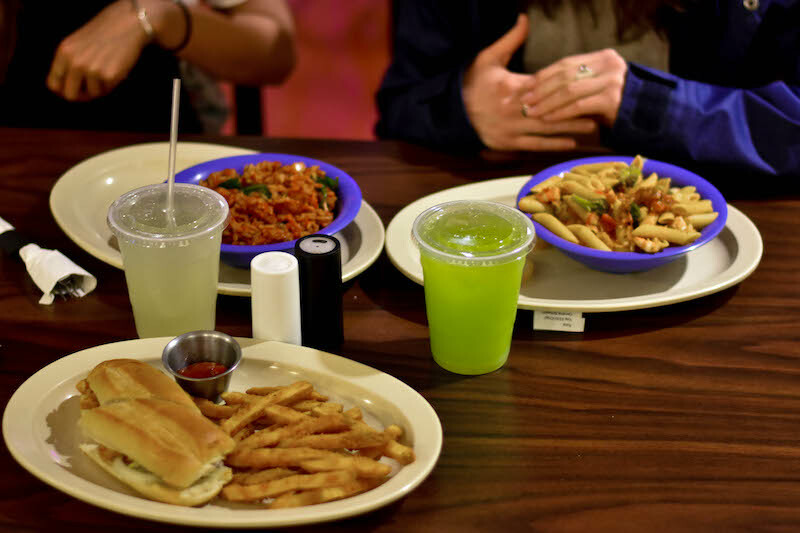 Reporter Caroline Schagrin spoke with Darren Chavis, the owner of New Orleans family-operated restaurant, Creole Soul Café, in downtown Syracuse. Chavis moved from New Orleans to Syracuse when he was five years old. The café is lit with dangling lights and decorated with plants and New Orleans paintings. Chavis had an interesting start to the restaurant industry, but with his entrepreneurial mindset he brings this city tastes from his Creole background. CAROLINE SCHAGRIN: At a first glance, Chavis is reserved, he removes his apron and cuts right to the point. For him, it's business all the time and has had this sense of ambition from a young age. DARREN CHAVIS: I come from a long line of entrepreneurs. For generations we owned a section in the French quarters starting with my great-grandfather selling herbs and spices. My grandfather moving into fruits and vegetables in the bar. My uncle moving into seasonings and the restaurant which he just turned into over to my cousin about a year ago so no one thought I was going to get bit by the bug because I wasn't part of the family business, but I sort of got bit the hardest. I always was an entrepreneur. I was a kid at the locker selling candy and paper routes. I was always working. I always had a hustle. DARREN CHAVIS: My name is Darren Chavis. Just turned fifty the other day, February 18. I'm originally from New Orleans. CAROLINE SCHAGRIN: But it wasn't just business operations that went on in Chavis' childhood home. DARREN CHAVIS: My father cooked in the house but he never taught me how to cook. I think that's something that's just instinctive. I'm a sight-smell type of cook. Smell it, taste it, add what you feel is necessary. And also I don't follow rules. People, you cant put this with that and I'm like why not? CAROLINE SCHAGRIN: Chavis graduated from Norfolk State University in Virginia with a bachelor's in building construction and architecture engineering and a minor in computer graphics. He worked in construction for 10 years in Maryland and Washington, DC before starting a company in Syracuse in 2011, but eventually he realized his passion was in something he'd been doing for a lot longer. DARREN CHAVIS: The transition really went from cooking to construction. I always cooked. I always enjoyed and loved cooking and all the family events, Thanksgiving, Christmas, whatever it was I get invited over and you know just to cook. CAROLINE SCHAGRIN: But construction didn't fulfill Darren Chavis for long. DARREN CHAVIS: It wasn't my love. After I put three kids through SU and my last one is a sophomore at Cortland, I built this for me because I figured I'd have somewhere to eat if everything goes bad and thought that I could juggle both companies, but it made me chose very quickly. CAROLINE SCHAGRIN: And the choice was cooking. But what Chavis learned from construction quite literally built his business and still influences the way he runs his restaurant today. DARREN CHAVIS: The construction really matured me as a businessman and taught me take things slow and not force things, but let it lead to where it's going. CAROLINE SCHAGRIN: Darren may be like that in business, but in the kitchen his competitive nature comes out. DARREN CHAVIS: I can take any meal. Let's say in this instance I just added pasta to my menu. I took an alfredo, I took a red sauce and I just changed it. In a matter of fact just last week I had a lady who works for a popular Italian restaurant and she had my alfredo and she's like "oh my God you're killing ours." I like the creativity or the boundlessness of it, ya know? I don't have to follow rules. I can create what I want and make it my signature. CAROLINE SCHAGRIN: Darren refuses to fail when it comes to everything in his life and he says his mother is the reason behind it. DARREN CHAVIS: If you tell her no that's just going to incite her or push her harder. And that's something that was definitely passed on to me. I hate losing. I don't care if I'm playing a little five year old in checkers, I'm gonna beat him. But I just hate losing and anytime someone tells me it can't be done, then I have to figure out a way to do it. CAROLINE SCHAGRIN: This drive helped Darren see the gap in Syracuse's restaurant scene. DARREN CHAVIS: I have no competition for what I do. Nobody does what I do. And nobody has the authenticity that I bring to the table, as far as me myself being Creole, being from New Orleans. But then all of my seasonings and seafood is shipped out of New Orleans so it's a different product. 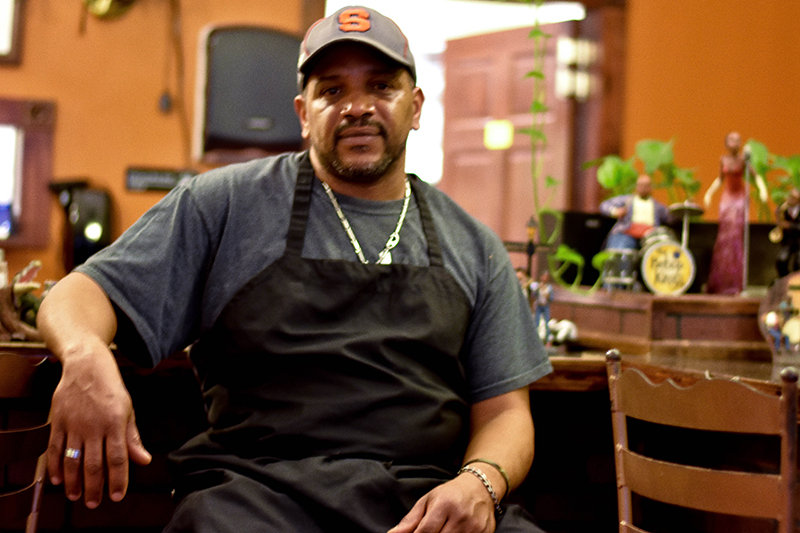 CAROLINE SCHAGRIN: Creole Soul Café's authenticity attracts people from all over Syracuse. DARREN CHAVIS: I know pretty much at least 75 percent of the people in here by face or by name. I got this one guy named Bill who's been in here since day one. He comes in every week for two and half years. No matter what event we're having at the state fair he shows up. At the Party in the Plaza or the Jazz Fest. He's always supporting. So we have several customers like Bill. CAROLINE SCHAGRIN: Some of Darren's other regulars include Mayor Ben Walsh and business professionals and Darren makes an effort to greet all of his customers even though he's always on the clock. DARREN CHAVIS: Customers are very challenging because they expect so much. My time is my most valuable asset and people always want to encroach on it when I just want to have a quick, "Hi how are you doing? Did you enjoy everything?" They wanna talk and take me into a 20 minute conversation about New Orleans and other things. So my time is my most valuable asset and I try to not let people waste that. CAROLINE SCHAGRIN: A menu full of New Orleans favorites like alligator, gumbo soup, po' boy sandwiches, and jambalaya is what brings in people like Bill. The dish that represents Darren's Creole heritage most is his family's bourbon sauce recipe. DARREN CHAVIS: The bourbon sauce is a very, very unique dish where we put the heat on the back side of the dish because we want you to experience all the flavor and once you eat something that's got heat to it, you don't taste anything else but the heat. So this one, the first thing you taste is nice and sweet because your sweet glands are up front then you have an explosion of flavor in your mouth from all of the seasonings and then in about 3-4 seconds after that, you get a nice [clears throat] on the back of your throat but no matter how hot it is you can't stop eating it because it's that good. CAROLINE SCHAGRIN: New Orleans cooking is all about layering your seasonings and spices. The bourbon sauce is hard to make, but that's why it's Darren's favorite dish. DARREN CHAVIS: New Orleans cooking is more of a melting pot because it has a lot of different French influence Britch influence, actually Creole, it was Indian influence. So all those things are taken to create a different style of cooking. CAROLINE SCHAGRIN: Darren's culinary skill and his attention to the spices, flavors and history that make New Orleans cuisine so distinctive, make his restaurant a stand out in a city famous for salt potatoes, sausage, and stretch bread. But that doesn't mean his job is an easy one. DARREN CHAVIS: I wouldn't recommend this to anybody. It's a hard, hard grind. But you gotta have a lot of love for what you doing and the gratifications or the high points are very few and far between because you always in the fight. BRONTE SCHMIT, HOST: Thanks again Caroline for speaking with Chavis. In the kitchen, his go to spices are garlic and ginger. BRONTE SCHMIT, HOST: That's all for this episode of Working: Syracuse. Check out our website www.workingsyracuse.com for more interviews as well as some extra content on Chavis. Be sure to follow us on Facebook and Twitter @WorkingSyracuse. Thanks again to Caroline for speaking with Chavis. This episode was written and produced by Caroline Schagrin. Extra reporting came from Chelsea Portner. Our theme music was by Logan Piercey. I've been Bronte Schmidt and i's time for us to clock out.